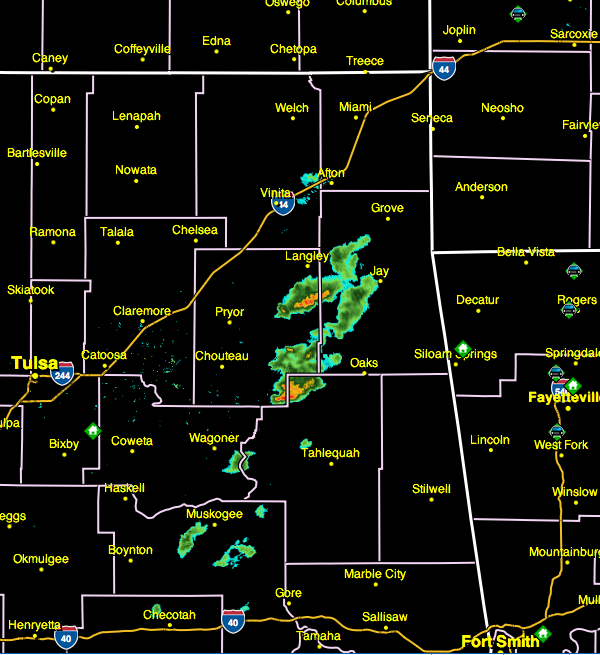 The Tulsa NWS radar shows thunderstorms rapidly developing over northeast Oklahoma. I don't normally show these because they are meant for meteorologists, but here is an outline of the potential nighttime tornado threat and where a tornado watch(es) will be issued. 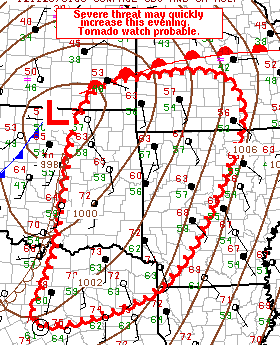 I'll post the tornado watch when it is issued. If you'll scroll down, you'll see my posting of this afternoon discussing how dangerous nighttime tornadoes are.